Next time you go out for a run and forget to update your iPod, don&apos;t worry, adidas has you covered. adidas just announced a new partnership with MixRadio to bring the popular app exclusively to their running watch. 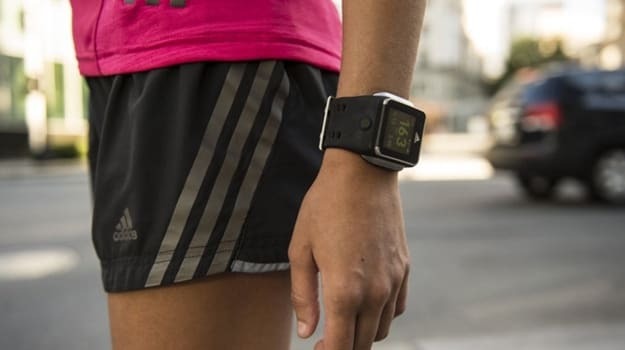 The app was formally known as Nokia Music, but has since been bought by Microsoft, and is now available on the Adidas miCoach Smart Run watch. What does that exactly mean? Well runners now have access to the 34 million song catalog, you can leave your smartphone at home because offline syncing is available. It&apos;s been long overdue to have a cloud-based system for running music, but the partnership will definitely bring more attention to the miCoach Smart Run watch. “The partnership with MixRadio adds another level to the Bluetooth wireless audio and training experience and builds on the unique training platform that miCoach provides," said Simon Drabble, director of Adidas Digital Sports division.